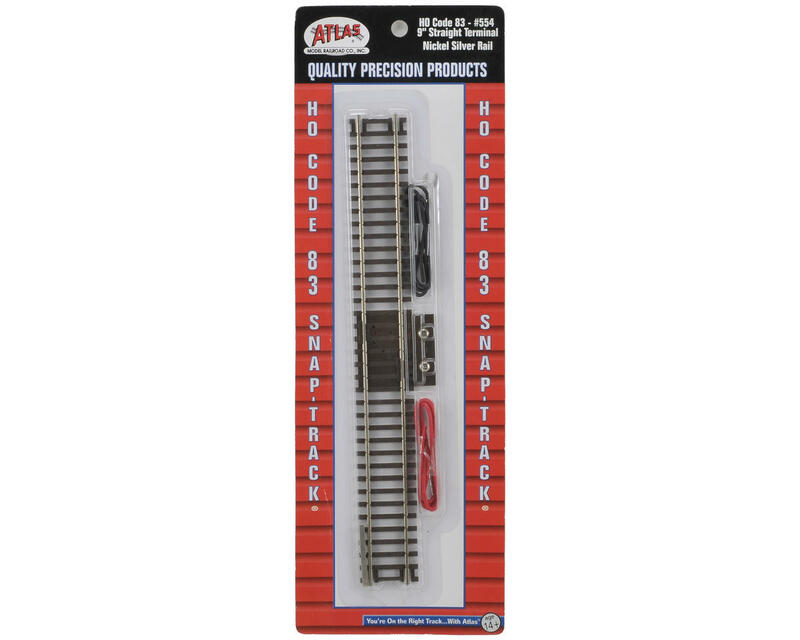 This is a Atlas Model Railroad HO-Gauge Code 83 Snap-Track Terminal Track with Wire. This piece allows quick, solderless connections from the power pack, to the track. Atlas' code 83 line is high quality, prototypical track for the modeler who is looking for track that is more exact-to-scale than code 100. 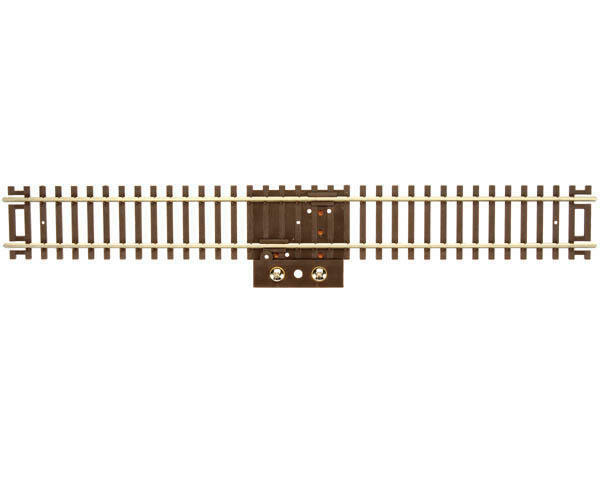 Atlas code 83 track has fine brown ties and smaller nickel rail. An advantage to Atlas code 83 track is its reasonable price. With Atlas you know you are getting the best-looking, most affordable code 83 on the market!